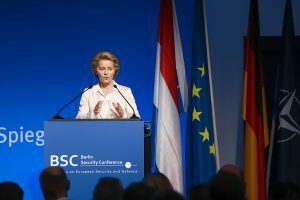 Welcome to the Website of the Berlin Security Conference, the Congress on European Security and Defence! Here you can find the relevant information about this national and international event which will take place in Berlin on 26 and 27 November 2019. The Congress addresses the European armed forces and the security organisations in Europe and those Non-European organisations that cooperate with them. It addresses also the respective ministries and agencies, the embassies in Berlin and the national and international companies. A special invitation goes also to the members of all national parliaments and those of the European Parliament. 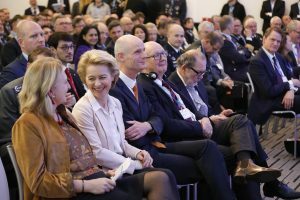 Willkommen zum Online-Auftritt der Berliner Sicherheitskonferenz, dem Kongress zur Europäischen Sicherheit und Verteidigung! Hier können Sie wichtige Informationen zu dieser nationalen und internationalen Veranstaltung finden, die am 26. und 27. 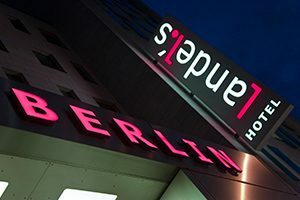 November 2019 in Berlin durchgeführt wird.